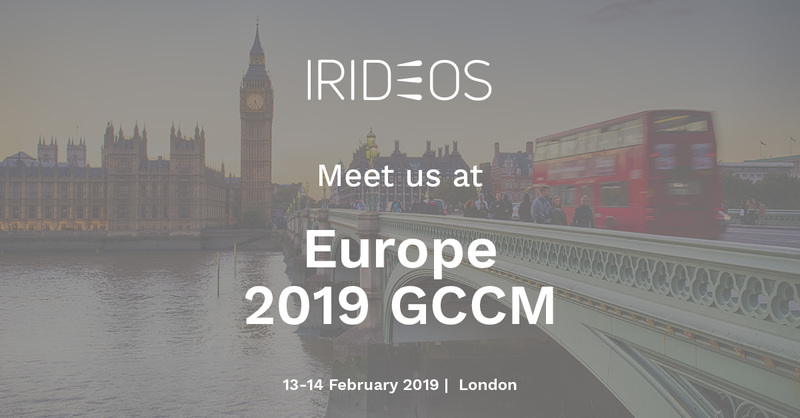 IRIDEOS is gold sponsor of Europe 2019 GCCM, an exclusive telco service provider and telco eco-partners event, organized by Carrier Community (CC). In its 11th edition – 13/14 February 2019, London – are expected 450+ telecom operators and 68+ countries representing decision makers from the Tier-1, Tier-2 and Tier-3 meet and network in London. CC is bringing together members and Telco Eco-Partners from various segments such as Data, Cloud, Application Providers, Voice, SMS Messaging , Mobile, OTT/ Content Providers, VAS, Submarine Cable, Enterprise, Satellite, ISP, Data Centers and other related segments while meeting, networking with peers and exploring new business opportunities, discussing latest market trends at the panel sessions and show casing their latest solutions. See you in London, 13-14 February 2019, – stand E55 – to introduce you to IRIDEOS and its offer!